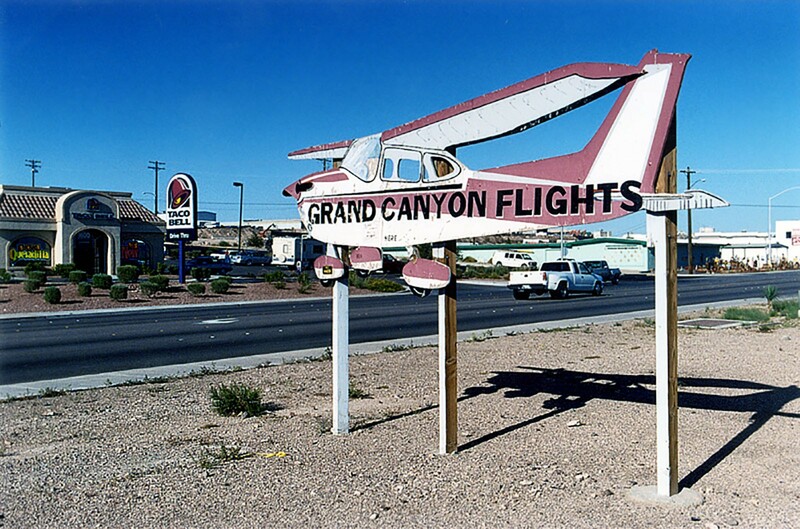 WASHINGTON – The Federal Aviation Administration said it will allow 1,721 additional flights through Grand Canyon National Park this year, with one catch: The tour flights will have to use quiet-aircraft technology. The extra flights, announced Monday, are part of a law aimed at encouraging a transition to quieter aircraft over public lands. While some lawmakers hailed the action, environmental groups said the technology is not quiet and that it will not achieve the law’s stated goal of restoring the park’s natural quiet. “It’s a ridiculous way to treat a national park, where people come to hear the natural sounds, to hear the water flow, … not to have it drowned out by aircraft,” she added. But Sen. John McCain, R-Ariz., praised the additional flights as “an important first step” toward promoting the use of quiet-aircraft technology. “Air tours, and the unique sightseeing experience they provide, are an important part of the northern Arizona economy,” McCain said in a prepared statement Wednesday. The changes come as part of the Moving Ahead for Progress in the 21st Century, or MAP-21, Act. It outlines steps for the FAA, in partnership with the National Park Service, to encourage quiet aircraft technology among air tour companies. 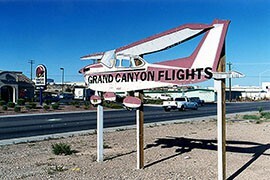 Under MAP-21, the Grand Canyon National Park offered to lower the per-flight fee that air tour operators pay, from $25 for a regular aircraft to $20 if they switch to quiet aircraft technology. The fee change took effect Jan. 1, said park spokeswoman Maureen Oltrogge. “Overall, that’s saving $250,000 annually for the air tour industry, if they all used quiet-aircraft technology,” Oltrogge said. The FAA followed this week with approval of the additional flights. Oltrogge said people likely will not notice the additional flights, which make up about 3 percent of the total flights expected in 2014. She pointed to the Dragon and Zuni Point corridors, two of the most popular for air tours, as an example: With flights taking off about every 90 seconds, she said, the 49 new flights that would be added in those corridors over a year is not significant. 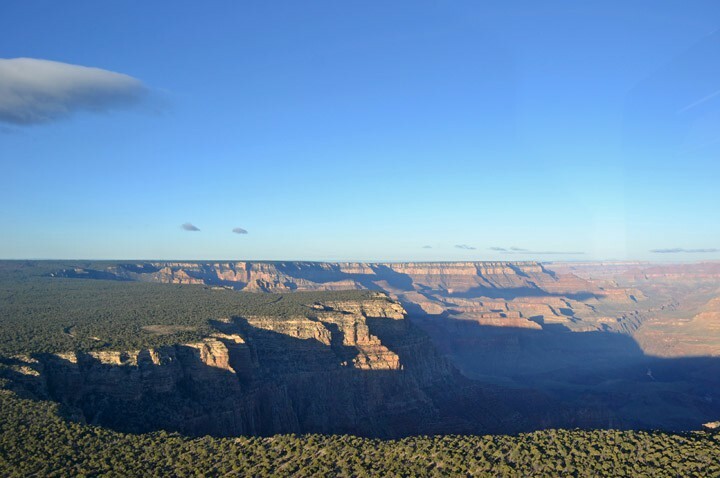 The long-term goal is to reduce the noise impact on the Grand Canyon over the next 15 years, she said. But some in Arizona question whether the quiet technology standards can do that. Flagstaff resident Jim McCarthy, who did a master’s thesis at Arizona State University on noise pollution in the Grand Canyon, said air tour companies are “gaming the park.” Because the quiet technology is defined by noise per seat, aircraft can be noisier as long as they hold more people, he said. But an FAA spokesman said in an email that even though the agency has increased the number of flights that could take place this year, the air tour industry has not operated at capacity in recent years. Ian Gregor said the FAA authorized about 90,000 flights in 2012, the most recent year for which numbers were available, but only 55,185 commercial air tours were actually flown that year. This South Rim view of the Grand Canyon was taken from one of the flight routes that cover national park. The government is trying to encourage quiet-technology aircraft to reduce noise pollution over the park. Air tour operators flew more than 55,000 trips over the Grand Canyon in 2012, making it a $2 million a year industry by one estimate.